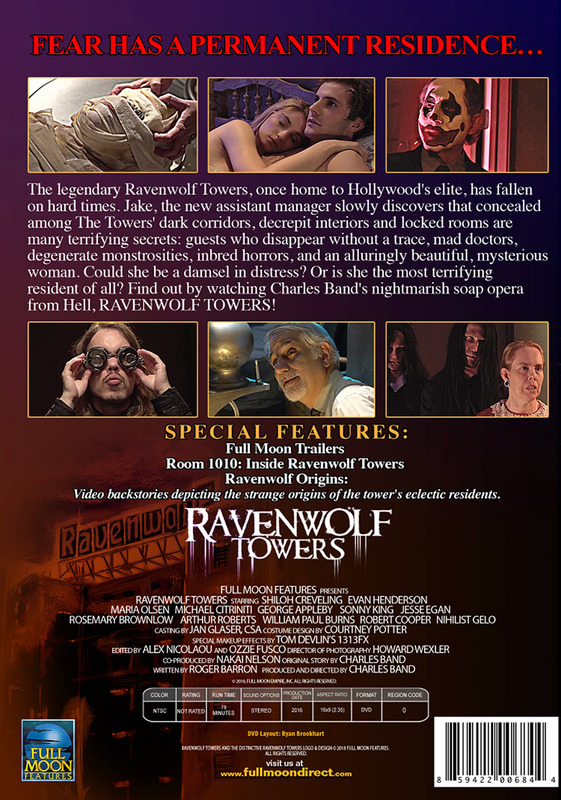 The legendary RAVENWOLF TOWERS, once home to Hollywood's elite, has fallen on hard times. 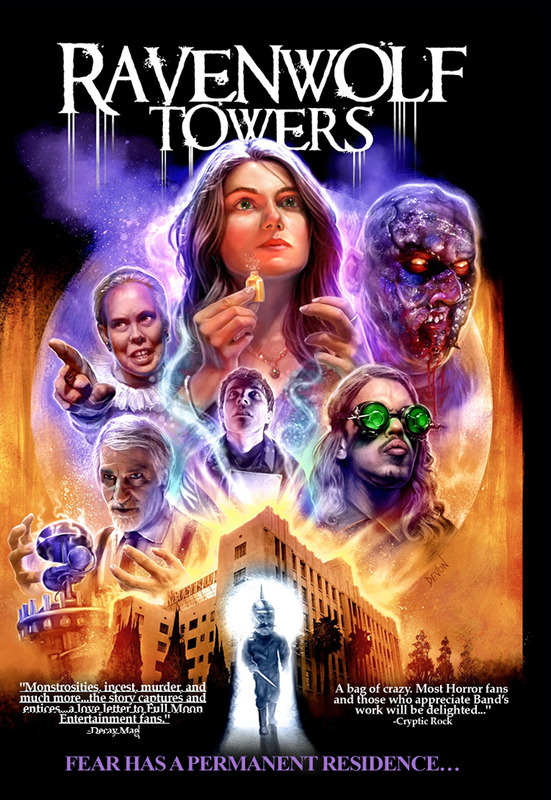 Jake, the new assistant manager slowly discovers that concealed among The Towers' dark corridors, decrepit interiors and locked rooms are many terrifying secrets: guests who disappear without a trace, mad doctors, degenerate monstrosities, inbred horrors, and an alluringly beautiful, mysterious woman. Could she be a damsel in distress? or is she the most terrifying resident of all? 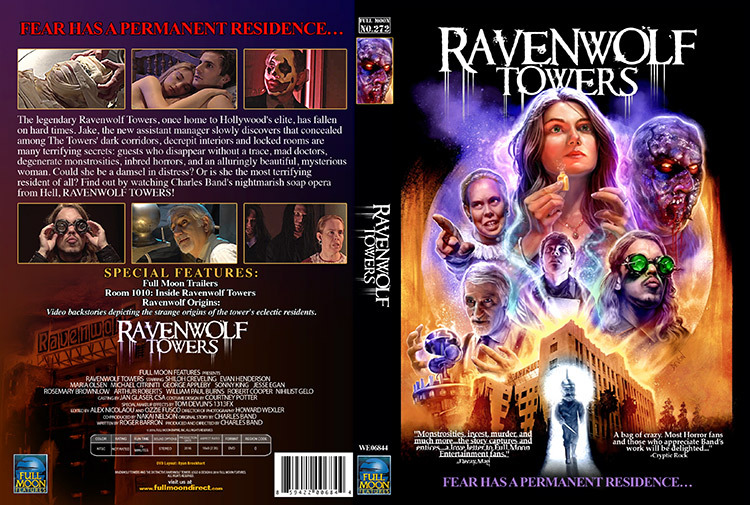 Find out by watching Charles Band's nightmarish soap opera from Hell, RAVENWOLF TOWERS!